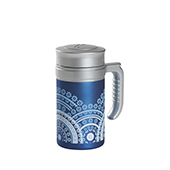 Enjoy your tea anywhere with this exclusive Blue Mandala Tea Shop thermos design. 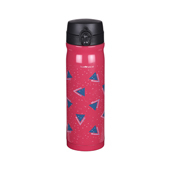 Enjoy your tea anywhere with this exclusive Magenta Mandala Tea Shop thermos design. 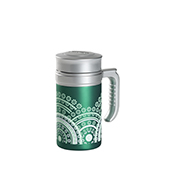 Enjoy your tea anywhere with this exclusive Green Mandala Tea Shop thermos design. Practical, ergonomic and easy to transport. We know that enjoying a good cup of tea or a nice hot herbal tea on a winter's day can be a real pleasure. The same is true for enjoying your favourite drink nice and chilled on summer days. 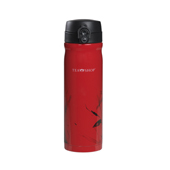 For all this and for its incredible benefits, you must buy your thermal mug from our online store. 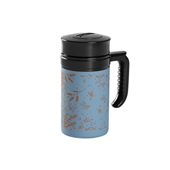 Enjoy your tea anywhere with the tea thermos collection: Travel Tea. Ideal for work, on the go, holidays or any other place. 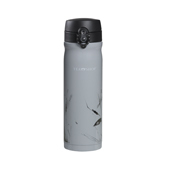 With these tea thermoses sold in our online shop, you can enjoy all the flavour of your favourite tea or herbal tea without changing your plans, as they are perfect for carrying in bags, rucksacks or anywhere else. 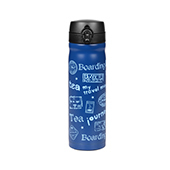 Nowadays, a thermal mug is an essential tea accessory. Above all, it is the best solution for drinking tea whenever and wherever you want, keeping it hot for a long period of time. 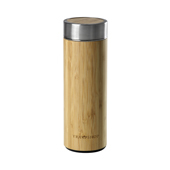 Tea Shop's thermoses for tea have a modern design inspired by travels and adventures, as well as all the convenience of an ergonomic handle that makes them easy to carry. 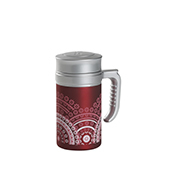 Furthermore, they will keep the perfect temperature of your hot or cold tea. Tea Shop's thermal mugs are ideal as they adapt to the environment in which they are used, being resistant, convenient and durable. 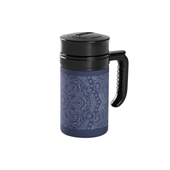 If you are a tea lover, there is nothing more convenient than a good thermal mug, so that you can take your own hot tea with you, made how you like and to your taste!